Drag large logs unencumbered with the Timber TuffTM Log Skidding Plate. The Plate is designed with double-pull chains that are 4’ long x 5/16” thick. 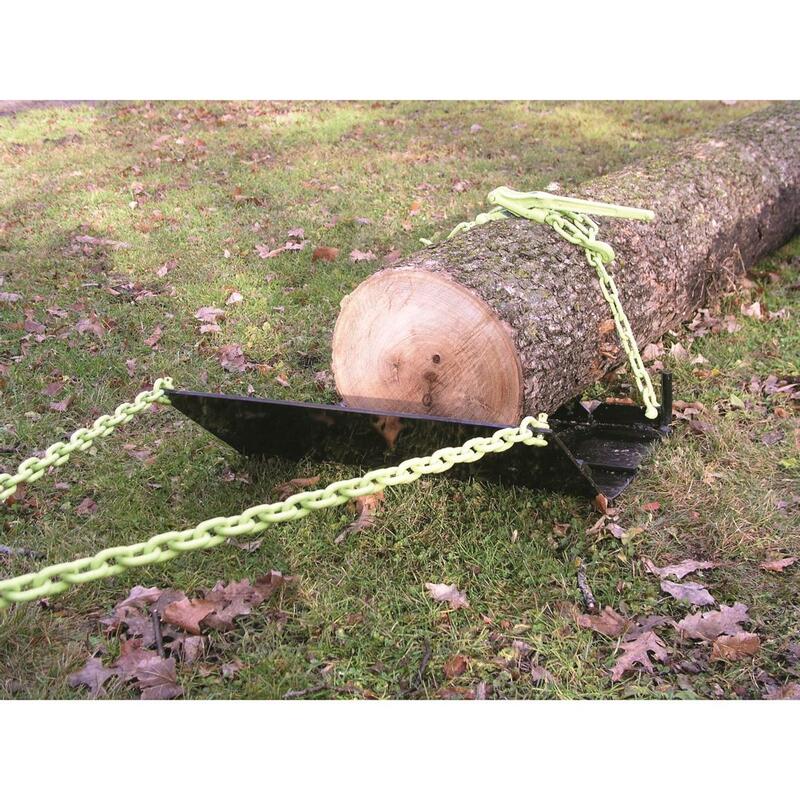 Secure the logs to the steel plate with the ¼” chain binder and two 24” long, 5/16" diameter chains, and the two 5/16” clevis pins. That will give you a firm hold on logs as you skid them. The 25" x 25" angled Skidding Plate prevents logs from digging into the ground, allowing for a smooth towing experience that will make your job easier. Timber Tuff Log Skidding Plate is rated 5.0 out of 5 by 1. 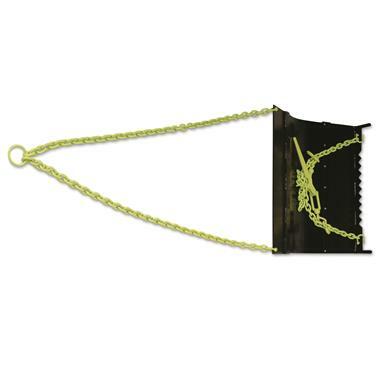 Rated 5 out of 5 by old logger from well made This product works well and seems indestructible so far. If I had a "complaint" it is only that it is heavy and awkward to put into the pickup bed. I'll probably buy another as I do a lot of logging with a portable winch. Learning curve for it is not bad. Extremely strong, durable and lightweight.